Frazier House Is Now Open! Frazier House opened June 4 following two years of planning for programs and services, and renovations to the building. It is housed on the first floor of the former Julia C. Frazier Elementary School at 4600 Spring Avenue. 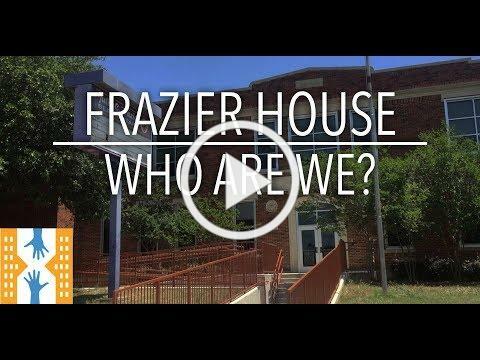 Frazier House is an initiative of the Zan Wesley Holmes, Jr. Community Outreach Center (ZWHJCOC) that will provide multiple services to the community in partnership and collaboration with other nonprofits, service organizations and the Dallas ISD. The shared space will offer access to a variety of services, including educational, legal, health-related, and financial. Social services, job skills training and job placement opportunities also are part of the outreach efforts that Frazier House delivers. Hiring staff and scaling of partners into the building are the tasks at hand. On board to handle those tasks are Executive Director Frances Smith-Dean and Operations Manager Jasmine Anderson. The Oasis Center is the first partner to move into Frazier House.They offer job training readiness programs and classes for 1 st time youth offenders. To date, two classes have graduated from this program. 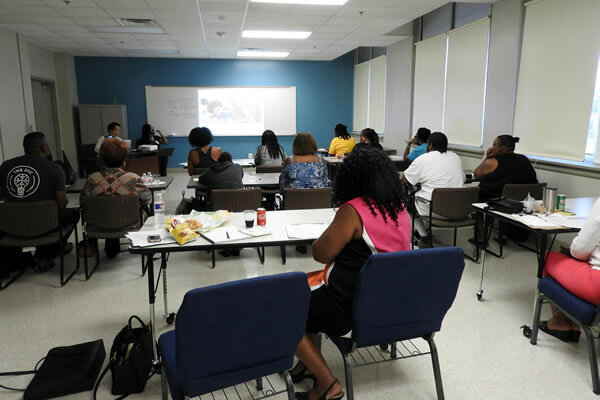 The kick-off of the Lunch & Learn series of classes offered to small businesses and nonprofit organizations. 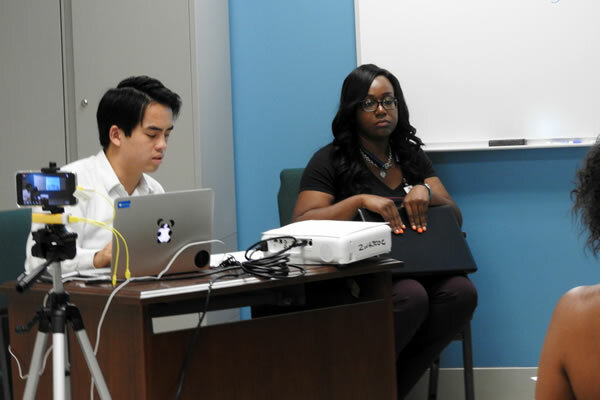 Classes have included social media marketing and creating sustainable business models. The September class is Public Speaking: Finding Your Voice. 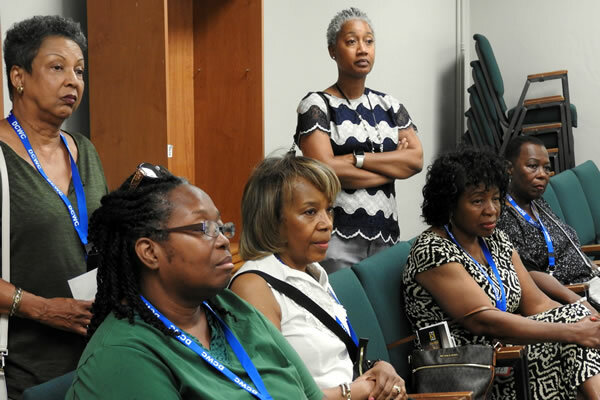 A signature event, Juneteenth Economic Forum, was held this year at Frazier House. Increments of Success, a ZWHJCOC finance class, is underway as well. Hosted St. Luke Day for members of the St. Luke Community United Methodist Church, which is a partner with the ZWHJCOC. Frazier House is one of several locations in the city of Dallas where individuals can apply for State Fair of Texas jobs. 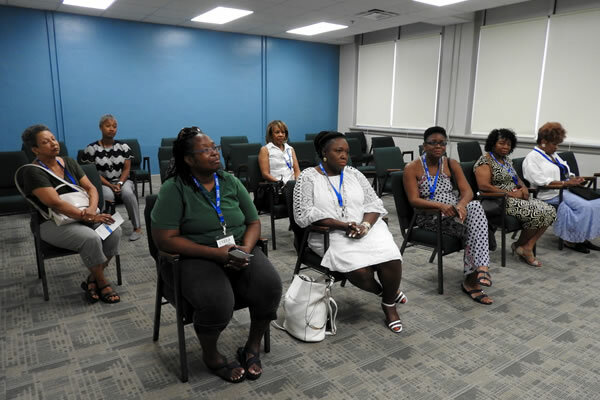 Follow us on Facebook and visit us at www.zwhjcoc.org to learn about new programs and services as we continue to scale in partners and functions at Frazier House. In September, we plan to welcome El Centro Community College to the building. They will offer to Frazier House clients several 8-week sessions for GED math, English and reading; and computer skills classes. Stay tuned for the announcement for orientation for these programs. In October, partners University of North Texas at Dallas and Harmony Counseling Center will join us at Frazier House. UNTD will provide information on how to handle legal matters and will provide assistance with Financial Aid forms. Harmony Center will provide Family Tree Counseling. 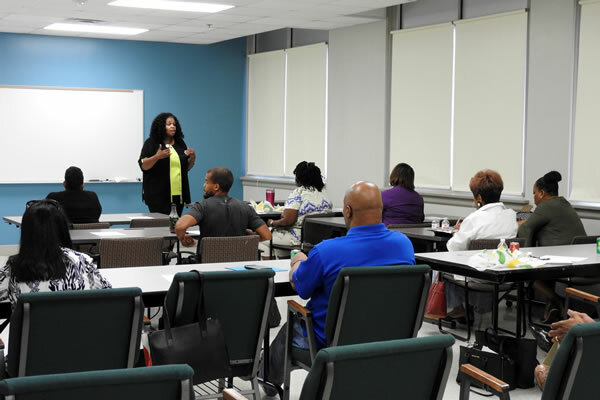 The Lunch & Learn series of classes continues at Frazier House this month with Public Speaking: Finding Your Voice taught by International Motivational Speaker Bernice J. Washington. Join us September 12 and 19 from 11 a.m. to 12:30 p.m. at Frazier House, 4600 Spring Avenue. Bring your lunch. We will provide the drinks. 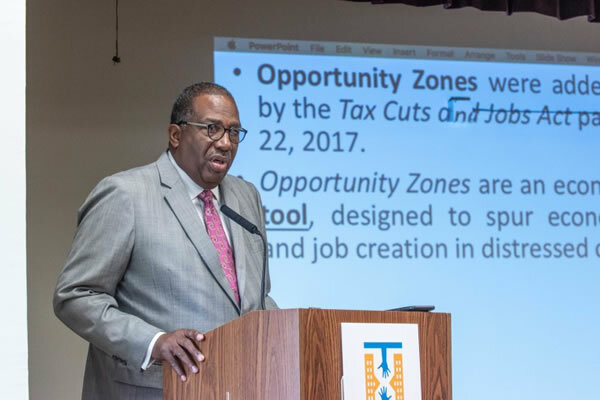 Zan Wesley Holmes, Jr. Community Outreach Center is participating in North Texas Giving Day (NTGD), an online 18-hour community-wide giving event that supports local nonprofits and causes. This year’s event is Thursday, Sept. 20 from 6 a.m.-midnight. Not available that day? Scheduled giving is available from September 10-19. 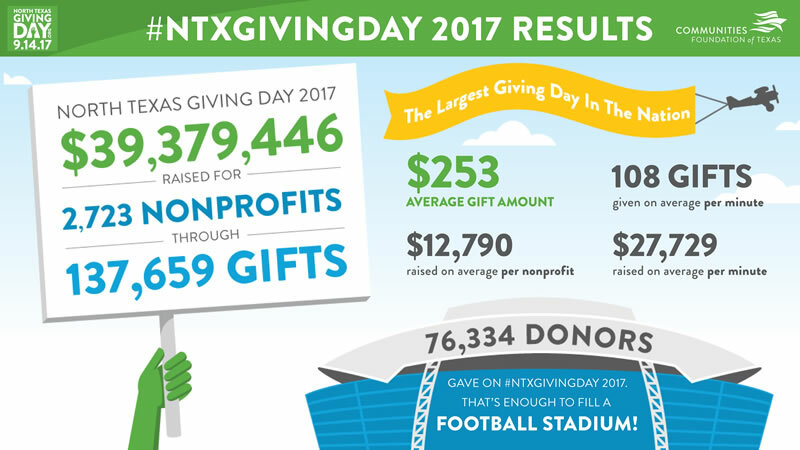 NTGD is the largest community-wide giving event in the nation. In 2017, $39 million was raised through more than 137,000 gifts benefiting 2,723 local nonprofits, bringing the nine year total to $195 million for our community. Please consider donating- learn more here . Funds raised from the event will go toward ZWHJCOC programs, services and operations, including Frazier House. We appreciate your support! 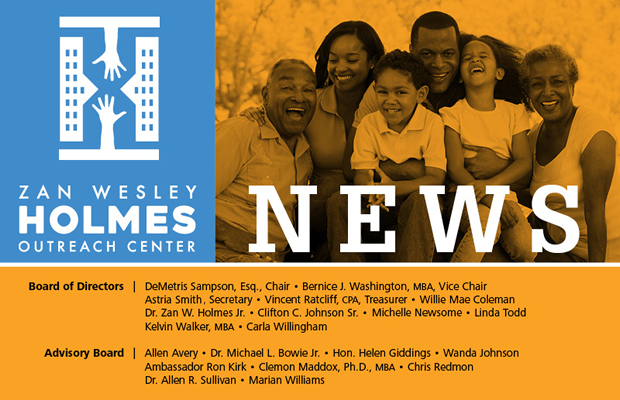 Two positions are open at the Zan Wesley Holmes, Jr. Community Outreach Center—Intake Specialist and Administrative Assistant. If you are interested in either position, go to www.zwhjcoc.org and apply. Both are part-time positions with a pay range for the Intake Specialist of $15.50 to $17.50 per hour, and for the Administrative Assistant $15.50 to$18 per hour. The successful candidates will work 20-25 hours each week. 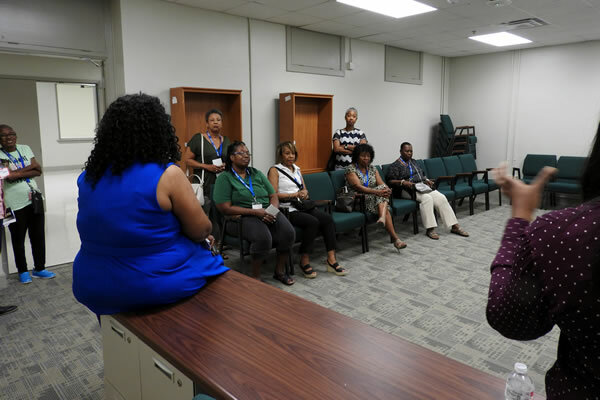 Board and Advisory Board members had a great time in July introducing members of St. Luke Community UMC, a ZWHJCOC partner, to Frazier House. 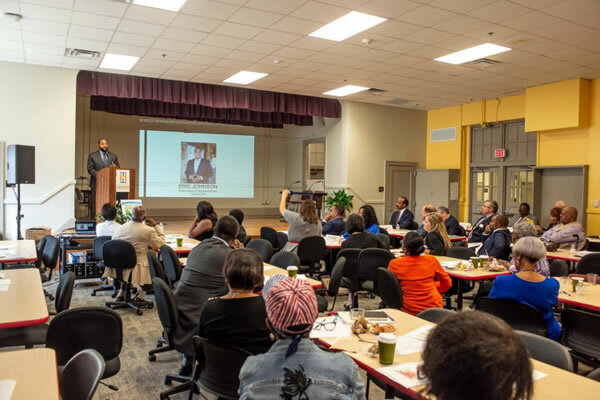 One of our other partners, the Oasis Center, spoke about their program for formerly incarcerated young adults, and several of our board members spoke about current and future plans! Please join us in welcoming Jasmine Anderson, the new Operations Manager for the Zan Wesley Holmes, Jr. Community Outreach Center. She is a Memphis native and is excited to join the ZWHJCOC group bringing her array of experience to the Center to help make a difference in the Dallas area. 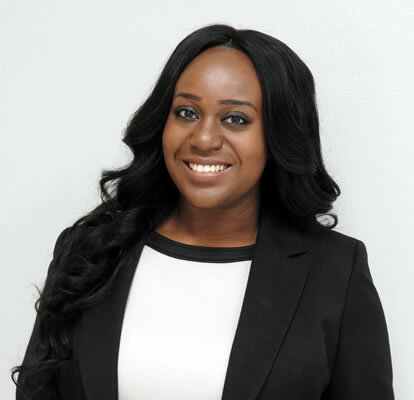 Jasmine has a Bachelor’s Degree in Nonprofit Management and Public Administration from the University of Tennessee at Chattanooga. We were fortunate to have Phong Nguyen serve alongside us this summer as our intern. Phong is studying neurobiology at Harvard University and plans to graduate in May 2019. Phong’s internship was sponsored by The Harvard Club. Phong was a great asset to the team. He did outstanding work helping to develop and teach the Lunch & Learn Marketing Class, creating Instagram and YouTube platforms, and creating videos that showcase the Center and its work. We are grateful to Phong for all of his time and contributions, and wish him the best. 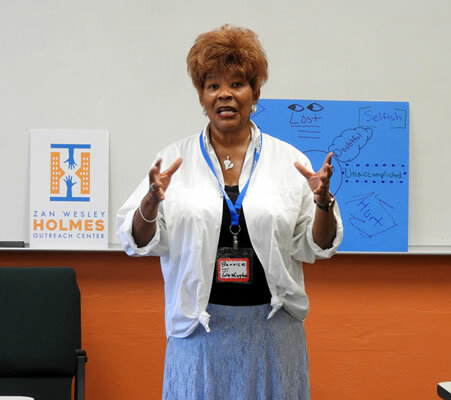 Learn more about the Zan Wesley Holmes, Jr. Community Outreach Center by taking a look at this video which is one of several created by our Summer Intern Phong Nguyen.